Writing has always been about one question; how do I make someone feel what I want them to feel. After that, the rest can be figured out. Kyle is a recent graduate of the University of British Columbia's Creative Writing department, earning his Master of Fine Arts in writing for the screen and stage. His thesis project, a feature film script titled "Like a Thief in the Night" placed highly in writing contests, making the second round of Austin, and the finals for the Screencraft Comedy Contest and the Canadian Film Festival's Harold Greenberg Feature contest. He is an experienced writer for the web, being a part of the writing team for the successful webseries "The Autobiography of Jane Eyre." 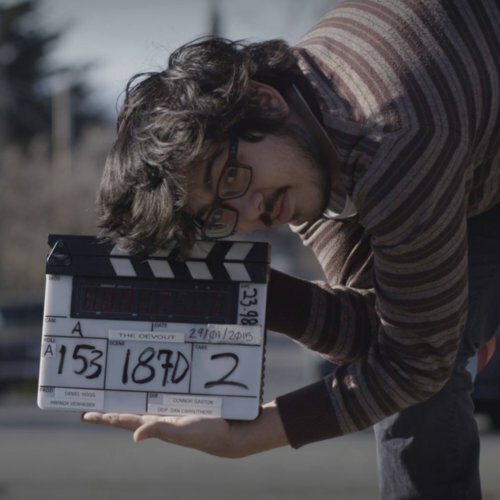 He wrote and produced a short film that was screened for the Dean of Fine Arts at UVic, and his last Storyhive pitch, "Greenish", won a production grant for a pilot episode of a webseries.